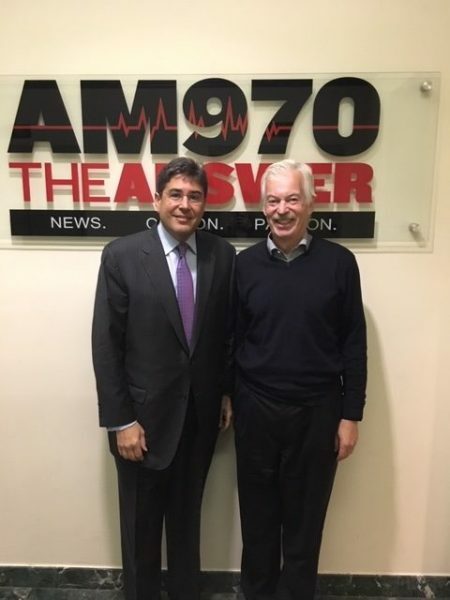 The following is a conversation between Eric Goldstein, CEO of the UJA Federation of New York, and Denver Frederick, Host of The Business of Giving on AM 970 The Answer in NYC. Denver: One of the largest and most prominent philanthropies in New York is the United Jewish Appeal Federation of Jewish Philanthropies, known to many simply as UJA Federation. They raise hundreds of millions of dollars to support a wide variety of social causes, and many consider them to be the most influential voice of the Jewish community in America. Here to tell us more about what they do is Eric Goldstein, the Chief Executive Officer of UJA Federation of New York. Good evening, Eric, and welcome to The Business of Giving. Eric: Good evening, Denver. Pleasure to be here. Denver: Amplify on my introduction a little bit, and tell us about the mission of UJA Federation of New York. Eric: UJA Federation is there to provide for the most vulnerable in the community. New Yorkers of all backgrounds and Jews around the world, and we’re there to also inspire a passion for Jewish life and learning and to forge stronger Jewish connections at a time of increased polarization in our community. Denver: The organization is an amalgamation of several entities, the oldest dating back to 1917. Share with us some of the history of the organization. Eric: It’s amazing. UJA Federation was started in 1917; World War 1 is raging. You have millions of Eastern European immigrants on our shores with almost no work, severe poverty, disease. All of these organizations sprang up to try to address these challenges, and there were not a lot of affluent people in the community, but there were some, and they were being harangued by every conceivable organization to say, Fund me! Fund me! A group led by Felix Warburg and Jacob Schiff decided that they were going to pick the 24 best, literally cradle-to-grave institutions, and they were going to create a federation for them, and they were going to come together and fund them along with the group. So, they picked literally on the grave site, Hebrew-Free Burial Society; from the very beginning, hospitals. This is before there was any social safety net. No government funding of healthcare. One of the four or five hospitals in this group of 24 was Mount Sinai. We actually have the original document of allocations in 1917. We gave a total of $2 million that year. Mount Sinai’s total budget in 1917 was roughly $600,000, and we gave them $260,000. That was the beginning of Federation, to deal with the extraordinary needs of the local community. Beyond that, I think the community has changed in that mirroring the greater, broader world out there, we’ve become very polarized, very separate, and so there are distinct camps. Our goal at UJA Federation is to literally try to forge broader community and to take these disparate elements and bring them together around common challenges. Denver: How has the Jewish community changed in New York over the last 25 years or so? Eric: First of all, it’s become much more diverse, and I think we have a conception of Jewish New York as being from Eastern Europe-born, Ashkenazi heritage, and the reality is, Jews today are incredibly diverse. They are multiracial. Many of them from what we call Edot HaMizrach which are the Middle-Eastern countries – Morocco and many, many more. Beyond that, I think the community has changed in that mirroring the greater, broader world out there, we’ve become very polarized, very separate, and so there are distinct camps. Our goal at UJA Federation is to literally try to forge broader community and to take these disparate elements and bring them together around common challenges. I think people would be stunned to learn there are 45,000 Holocaust survivors still living in the metropolitan area, and 40% tragically are living at or near poverty. So, we’ve put a significant spotlight on the needs of Holocaust survivors. Our view is: if there is any part of our community deserving of our support, it is this one, and we’re doing what we can to supplement services to this population. Denver: Those demographics help a little bit to understand the dozens and dozens of health and human service and educational and community-building organizations that you fund and help support. Let’s talk about a couple of them. One important area is the elderly aging with dignity. Tell us about your work there. Eric: First of all, as we know, people are living longer and longer and longer. But you need to sustain the quality of life as well. There is a desperate need to assist the elderly. We also, in particular, deal with Holocaust survivors. I think people would be stunned to learn there are 45,000 Holocaust survivors still living in the metropolitan area, and 40% tragically are living at or near poverty. So, we’ve put a significant spotlight on the needs of Holocaust survivors. Our view is: if there is any part of our community deserving of our support, it is this one, and we’re doing what we can to supplement services to this population. But much more broadly, we know that there is a huge aging population in significant need of support. So, we are investing in many of the leading agencies in our community – JASA which focuses significantly on the needs of the aged; New Jewish Home, and many others to help provide support for this community. Denver: That’s great. This is something the American society has not prepared for, and it’s going to really hit us like a tsunami. Denver: I saw the other day that the number one cause for people to contribute to, heading in to Giving Tuesday, was disaster relief. My Goodness! We have certainly had more than our fair share of disasters over the last couple of years. You have been actively engaged in most, if not, all of them. Tell us about some of those activities. Eric: Sure. Let me first mention Giving Tuesday. Giving Tuesday, most people don’t know, was the brain child, the creation of the 92nd Street Y, one of the UJA JCCs, and they made the decision– in order to allow it to have worldwide reach– to not brand it as 92Y because they thought that would limit its attraction and its appeal and its receptivity across the community. Now, it’s been this incredible phenomenon of people using the Giving Tuesday platform for charities. Denver: It’s certainly become bigger than Black Friday. That’s for sure. Henry Timms has been on the show, and he’s the guy at the 92nd Street Y. In fact, he announced it the first year here, so we’ve been very closely aligned. We try to promote it every year, and you can’t promote it enough, as far as I’m concerned, so thank you for bringing that up. Eric: Back to disaster relief, the reality is that one of the real reasons we exist from the start is to help people who are in serious need every day but also during periods of crisis. If you you go back to Hurricane Sandy, then Mayor Bloomberg designated five official restoration centers in New York. Four of the five were UJA Federation agencies, but as recently as a year ago during the extraordinary hurricanes in Houston… and then in Puerto Rico/ Virgin Islands, we were there within days providing many of the people who have the expertise from Sandy – literally sent them to Houston to work with the community there; and with Puerto Rico, there was just this enormous need. And we work with many organizations. So, we had access to medical supplies. We have lots of Jewish community centers that became collection points. And we have an extraordinary base of donors who actually provided their planes – private planes, corporate planes. We ended up sending 29 plane-loads worth of material… over a hundred thousand pounds of supplies, including oncology drugs, when the main hospital in Puerto Rico was out of them. I went on two of those trips, and they were about as inspiring a day as I’ve ever spent. We literally loaded up these planes, went with the local Jewish community which was not as affected in Puerto Rico by what happened, and we would walk into the most dire neighborhoods in remote areas of Puerto Rico, unload, stage all the materials. The community would come and would take, and when it was gone, we’d go back and go home. Really wonderful stuff. The problem with food pantries are, one, you have to wait on long lines, very undignified, very difficult for many, and then you get a standard basket of goods that you may eat, that you may not like, that may be culturally not what you eat, maybe dietary challenges. What we’ve created is an online system. If you don’t know how to go online, the social worker goes online for you. It’s a point-base system that puts online what we have in inventory, and then you get to choose what you and your family want to eat. It also promotes healthy eating, so that if you want pasta, it’s five points for white pasta, but three points for whole wheat pasta. Five points for fruit, ten points for cookies. It promotes healthy choices. Again, it reduces waste. It promotes dignity, and we hope to bring that to all of our food pantries. Denver: That’s fantastic. When you were talking about the elderly before, you talked a little bit about poverty and hunger. And that’s such a big issue. I’m going to ask you to speak about that a little bit more beyond what you’re just doing for the elderly, but really for the broader community. Eric: Our mandate is to feed all the hungry of New York who need. But our particular focus is Jewish hunger. I think again, people would be stunned to learn that there are roughly 1.6-, 1.7 million Jews in the five boroughs, Westchester, Long Island. 560,000 people living in Jewish households today in that area live at or near poverty. Almost a third of the total community living at or near poverty, and it’s a time where we have unprecedented prosperity in our community. So, we’ve decided to put a significant spotlight on that. We’re also doing certain new initiatives that we think have the potential to truly bring people from crisis to stability in much greater numbers. For example, we currently have dozens of food pantries, traditional food pantries, across our network. Our goal, we’ve now done this with four – the goal is to do this with all– is to transform them into what are called digital choice food pantries. The other thing we’re looking to do, well beyond the digital choice pantries– and we did this in conjunction with our centennial. We’re now 101.– The question was: How do you mark the centennial and amplify your values? And food insecurity is a dramatic challenge in the community. So we’re creating two massive community hubs in the areas of densest Jewish poverty in Central Brooklyn on the border between Bensonhurst and Borough Park and Central Queens, in the Forest Hills, Rego Park, Elmhurst area. We’re turning around and creating these massive one-stops that are going to be the digital choice food pantries, benefits enrollment, social work case management, legal services, workforce development training– all in one location. So, you’re going to come in for the food perhaps. But then there’ll be this complete workup, and it’s based on a model at St. John Bread & Life in Bed-Stuy where they found that after six or seven months, 60% to 70% of the people were no longer asking for the food. So, it really is crisis to stability, and we’re looking to bring that to those two communities as well. It’s a huge focus for us now. Unfortunately, the need is dramatic. Denver: That makes an awful lot of sense. I don’t think that people appreciate how difficult it can be to navigate the system. They don’t know where to go or how to go about it. When you can put it all under one roof and have all the referrals there and all the things, people will actually take steps to make their lives better which they otherwise would never do. Eric: Exactly right. There are a lot of benefits that aren’t taken up because people don’t know, they’re not aware that they are entitled to them. They don’t know how to access, how to navigate. And the idea is to put this all in one place. Denver: You reduce the friction. It’s always one step that stops you. You’ll just say, “I’ll come back to it later,” and of course, you never do. Can I ask you one more thing about your work too? Because you were talking about food and all the things that you provide, but one of the most important things that you provide are people. You are mobilizing them through your time for good effort. Eric: Strategic volunteerism. It’s easier than it sounds because in theory, you get people to volunteer, and they come to an agency to do work. All good. The reality is most agencies don’t even have the capacity to appropriately bring in volunteers. They don’t have the capacity. They don’t have people with the training or even the people, just plain and simple, to work with the volunteers. And if you had a bad volunteerism experience, it’s winning out. You’re not coming back. We’re actually spending time now giving grants to our agencies to train them to be able to bring in and use volunteers in a high-impact way. This is both the service day kinds of volunteer opportunities, where Martin Luther King Day, or 9/11 Day, you bring thousands of people from across the community into your organizations. But probably even more valuable, the high impact volunteerism are those volunteers who you bring in and who are trained to actually do the work of the agencies. And so you get– at a time when the agencies are being asked to do more and more and more with less and less and less– really significant challenge with government funding of agencies. Governments look to these not-for-profit social service agencies to do this work, but the current contracts are all deficit contracts. So agencies are not being remotely paid enough. And at the same time, there being enormously delays in the funding of these contracts, so these agencies are giving interest-free loans to the government for long periods of time that they can ill afford. That’s an issue we need to address, but at the same time, to the extent you can bring high-impact volunteers into your agency to do the work you need to be doing and then cost less; that’s a win, win, win, win. And you also expose lots of people to the needs of the community, and you hope they get more and more involved. Denver: That’s exactly what happens. You get a high-impact volunteer, and pretty soon, you have a high-impact donor. One follows the other. It was bringing in the millions of immigrants from Eastern Europe and then from Russia and Ethiopia. State didn’t have the capacity to absorb them into the country, so we brought them there, and then we helped the country absorb all of these immigrants, integrate them, give them the training, housing, the programming, and then we were very much involved in state-building; creating the institutions that you need for a civil society. Then over time, one of the great things is, we were successful. Israel no longer is a poor country. It’s a very prosperous nation. It’s the startup nation. There are millions of successfully integrated immigrants who have changed the face of Israel in extraordinary ways. Let’s turn the page here a little bit. UJA Greater New York was founded 1939 and 1941– the national and the local organization– prior to the existence of the State of Israel, and this has been a vital, yet ever-changing relationship. Tell us how the organization’s relationship with Israel has evolved over these decades. Eric: As you say, Federation was started in 1917. UJA, whose mission was to assist the then not even in existence State of Israel, and also the Jews overseas, Eastern Europe– who were in obviously very much in harm’s way during that period – to provide for their needs. The original goal of UJA, which then merged with Federation in 1986, was to provide for the needs of this fledgling State of Israel and for the needs of Eastern European immigrants. Over the many decades, UJA Federation of New York alone has provided literally billions of dollars of investment in the State of Israel, and as you say, the initial stage was state-building. It was bringing in the millions of immigrants from Eastern Europe and then from Russia and Ethiopia. State didn’t have the capacity to absorb them into the country, so we brought them there, and then we helped the country absorb all of these immigrants, integrate them, give them the training, housing, the programming, and then we were very much involved in state-building; creating the institutions that you need for a civil society. Then over time, one of the great things is, we were successful. Israel no longer is a poor country. It’s a very prosperous nation. It’s the startup nation. There are millions of successfully integrated immigrants who have changed the face of Israel in extraordinary ways. Then the focus became also beyond still taking care of people in need– There is still lots of people at risk in Israel who are deserving of our support–is to focus on creating a community that embraces both the Jewish and the democratics, so that it’s a state that takes care of marginalized populations – Israeli Arabs, ultra-Orthodox Jews– and spends a lot of time integrating the “other” into community, and we’re very much focused on that. Today, we can get into it to the extent you want, we’re also dealing with an incredibly prosperous Israel and incredibly prosperous North American Jewry. So, there’s not… neither community feels an urgent need to connect with the other. Crisis breeds connection. Prosperity and strength has the opposite effect. I worry because there is now a growing disconnection between primarily the non-Orthodox American Jewish community, which remains the majority of the Jewish community in America, and Israel. I am absolutely convinced and deeply believe that world Jewry was made extremely strong…was made much, much stronger by the existence of a vibrant, strong Israel but at the same time, Israel is made much stronger by the existence of a vibrant, strong world Jewry. And they need each other, and they need to keep connected. For a number of years now, the religious functions of the state have been controlled by a chief Rabbinate that is ultra-Orthodox. While the ultra-Orthodox– by the way for whom I have enormous respect; this is not judgement– but they represent 10% to 12% of the Israeli community. So, they are a significant minority, yet they control all state-authorized religious functions. The result is that currently, if I come to Israel, and I’m a Conservative Jew, I can come as a citizen under a right of return, but I can’t get married; it has to go through the Rabbinate. The Rabbinate won’t marry me because they don’t acknowledge the authenticity of my Jewishness as a non-Orthodox person. That’s a significant challenge. It’s hard to maintain a sense of connection. This is a country that I aspire to live in and be with, when the country is saying that I’m a second-class Jew. Denver: Along these lines, an issue of grave concern, I think particularly to the Jewish community in North America, was the suspension of the Kotel Agreement. Tell us what the Kotel Agreement is. Why was it suspended, and what does it all mean? Eric: This is just one of a series of challenges that relates to the religious nature of the State of Israel. State of Israel, unlike America, does not have a separation of church and state. The religious functions in Israel have state authority. For a number of years now, the religious functions of the state have been controlled by a chief Rabbinate that is ultra-Orthodox. While the ultra-Orthodox– by the way for whom I have enormous respect; this is not judgement– but they represent 10% to 12% of the Israeli community. So, they are a significant minority, yet they control all state-authorized religious functions. The result is that currently, if I come to Israel, and I’m a Conservative Jew, I can come as a citizen under a right of return but I can’t get married; it has to go through the Rabbinate. The Rabbinate won’t marry me because they don’t acknowledge the authenticity of my Jewishness as a non-Orthodox person. That’s a significant challenge. It’s hard to maintain a sense of connection. This is a country that I aspire to live in and be with, when the country is saying that: I’m a second-class Jew. So, one of the manifestations of this – Kotel is the Western Wall, the most holy, religious site in all of Israel; currently, if you want to pray at Kotel, the primary sites where you can pray are broken down by a men’s section and a women’s section in accordance with Orthodox practice. There’s a much smaller sort of hidden-in-a-corner place for egalitarian prayer, and there was a deal struck with the government with all the parties– from the Orthodox, ultra-Orthodox right, all the way across the spectrum to create much more dignified prayer space that would be egalitarian, that would be a single entrance way with all the other entrance ways at the various spaces. It would be much larger. It would also be monitored and overseen by a group that included non-Orthodox streams, and it was considered an enormous breakthrough after years and years of painstaking effort. And at the end of the day after the deal was announced, the ultra-Orthodox reneged; the Prime Minister essentially allowed them to renege, and the result is that this Kotel arrangement fell apart. The reality is, it’s one example, a very prominent example, but an example of the… it creates and it certainly explains the challenge, the hegemony of religious life by the ultra-Orthodox. 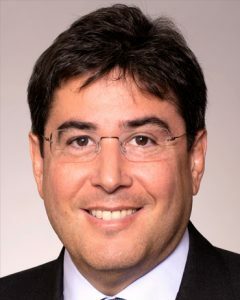 And given that the vast majority of American Jewish community is not Orthodox, it’s really critical, sensitive to the Orthodox, but at the same time, we need to come up with a solution in the State of Israel that makes it a homeland truly for all Jews, where all Jews feel at home and not simply a subset. We have become enormously polarized. There is stridency and energy at the extreme left and the extreme right. This middle, which I still think is the most numerous in terms of numbers of people, has become the most silent with respect to voice. I think that people in the middle almost don’t want to get swept up in the undertow of taking a position that then the right or the left just attacks. Denver: Let’s bring that challenge back home here to America, and I don’t know, Eric, if I ever really fully appreciated how the Jewish community is really simply a reflection of our larger society. And unfortunately these days, that means deep divisions, strident opinions, even a lack of civility now and again for those who think differently. It’s the same thing I see every single day on television with our politics. How does UJA Federation, which represents all these points of view, get their arms around this and serve as a kind of unifying force? Eric: It’s becoming an increasing challenge. Denver, you’re entirely right. The Jewish community is no different from the broader community. We have become enormously polarized. There is stridency and energy at the extreme left and the extreme right, and this middle, which I still think is the most numerous in terms of numbers of people, has become the most silent with respect to voice. I think that people in the middle almost don’t want to get swept up in the undertow of taking a position that then the right or the left just attacks. We’ve had unfortunately examples of people trying to stand up. These awful email campaigns and demonizing rhetoric. 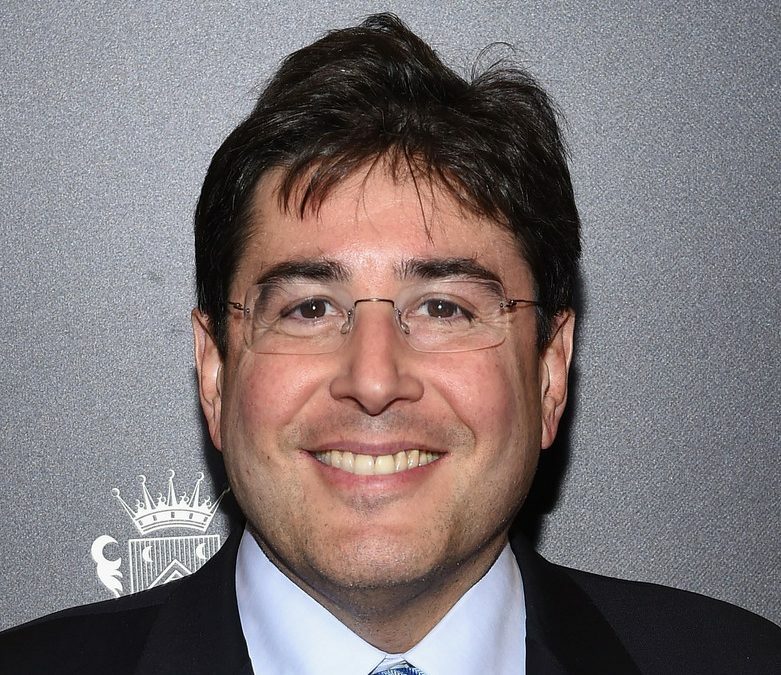 It’s a significant challenge, and I think we at UJA Federation believe that we are one of the few places still which tries to appeal across the spectrum. We’re not political in a highly politicized time, and we say, “Please come together around common challenge.” But how do you do it? It’s increasingly difficult in this environment to maintain a sense of cohesive community, which is why one of our mandates is actually pushing for programming, pushing to bring diverse segments of the community that otherwise wouldn’t engage. We have community events. We call them U community events where we come together across synagogues, across denominations, across politics, to say, “Let’s talk.” But it’s a real challenge. My wife thinks I vent much more with the kids when I get home because I’m so careful during the day not to take one side or another. The reality is, I really do try to keep my personal politics aside. The UJA Federation is an incredibly important institution in maintaining this communal reach, and we lose an essential part of who we would be, who we are, if we lost that. So, we are very careful. But it is increasingly difficult, and I do my level best. Eric: My wife thinks I vent much more with the kids when I get home because I’m so careful during the day not to take one side or another. The reality is, I really do try to keep my personal politics aside. The UJA Federation is an incredibly important institution in maintaining this communal reach, and we lose an essential part of who we would be, who we are, if we lost that. So, we are very careful. But it is increasingly difficult, and I do my level best. There was once a time where there were both visible and invisible boundaries and barriers that prevented our kids from going to any college, for us to get involved in any charity, for us to go to any club. Today, there’s enormous blessing of acceptance. Jews are accepted in America. There is something very, very wonderful about that. We need to understand that blessing… I think our particularism really grounds us and gives us a mission and gives us values that we need to bring to others. Denver: Let me ask you about another challenge, and that’s the generation gap – and how that shows up for you, whether it’s in the United States or around the world– the Pew Research poll consistently shows that younger adults are less likely to identify with a religion, less likely to believe in God or engage in religious activity. Is that a big challenge? Eric: It is a very significant challenge. We’re not necessarily promoting religious activity. We want people to feel Jewishly-connected and feel a sense of strong Jewish community. If they want to observe religiously, God bless! And if they don’t, and they want to be more culturally connected, we’re looking to keep the Jewish community connected and to keep what is a thousand-year-old, extraordinary tradition alive and vibrant. But you are entirely right. Our children are more universal in their outlook and less particular, and it is an increasing challenge. It’s also part of the blessing. There was once a time where there were both visible and invisible boundaries and barriers that prevented our kids from going to any college, for us to get involved in any charity, for us to go to any club. Today, there’s enormous blessing of acceptance. Jews are accepted in America. There is something very, very wonderful about that. We need to understand that blessing. The challenge for us though is if you think we have an enormous series of traditions and values to reflect upon the world, to bring to the world its… we need to maintain the particular…realize that we need to be part of the universal. The fact that we maintain a particularism isn’t to the exclusion of being part of the world and truly invested, but I think our particularism really grounds us and gives us a mission and gives us values that we need to bring to others. Denver: I know you grew up in a pretty religious household. Your dad was a president of the synagogue during the Yom Kippur War. But really it was in 2001 when you became part of the Wexner Program. That is what really caused you to change your perspective dramatically. How did that happen? Eric: I grew up in a modern Orthodox community. I went to Jewish day schools, but also very much focused on secular education and advancement. But in terms of my Jewish life, most of my conversations until I started Wexner – I’ll explain Wexner in a moment – to 2001, were with other modern Orthodox Jews like me, the people I saw in my synagogue. Wexner is a leadership program created by Les and Abigail Wexner, enormous philanthropists from Columbus, Ohio, that was there to inspire Jewish leadership among non-Jewish professionals. I was a lawyer for many, many, many years. I came to this program, and it was the first time I spent concentrated time talking about Jewishness with the group that was mostly not Orthodox, and it very much broadened my horizon about the Jewish community, its diversity, and the need even as a modern Orthodox Jew to be part of a much broader conversation. I think that the Wexner Program, I would not be in this role for sure if I hadn’t had that experience at Wexner. Denver: The other religion in your house was the legal profession, more or less. Your mom and dad were both lawyers. Met in law school, worked together, still do. Your siblings were lawyers, so it was probably pre-determined, you were going to be a lawyer several years before you were born, and you were a leading partner at Paul, Weiss, Rifkind for 31 years before assuming this job. So, I want to ask you this, were you a little apprehensive to tell your folks that you were leaving the legal profession for this? Eric: Believe it or not, the candid answer is: Yes! We had always as a family self-defined that we were lawyers. Not only lawyers, we were litigators. We’re a particular type of lawyers. My parents believed… they still celebrated their 62nd anniversary on Sunday… fantastic… and still talk about law at their dinner table every night. But they believe and believe that it’s a noble profession, and they truly, strongly encourage all of their children to go in. I thought they would be a little bit unhappy that I was going off the road and doing something different. It turns out they were enormously happy with this. Denver: Tell us a little bit about your fundraising. You just closed your recent campaign, a record-breaking one – at a quarter of a billion dollars. Congratulations on that! What is your formula for being an effective fundraiser? And how do you create and nurture an effective fundraising organization? Eric: First of all, I think it’s one of the most important ingredients for the success of UJA Federation is we build community. I really believe that we are the backbone of the Jewish philanthropic community in New York, and there are many many people who have their community. This is where they come for events. We have 400+ events a year that thousands of people come to across the board; geography, based on trades and professions, and I think that you bring together people around what are the most important challenges that we need to address. And our donors are not simply writing checks. Our donors…the way we figure out how to give the money away is there are volunteers– people like I once was– who sat around literal tables based on subject matter. So, that if there’s a program about empowering Israeli Arabs, it’s a group who’s focused on that issue, supported by staff, and they figure out the most impactful way of spending the dollars that we have available. You actually create this incredibly engaged group of many, many hundreds of volunteers who give away the dollars. And then beyond, I think we prove we have the trust of the community that we’ve been at this for a while. I think we have very strong governance even though it’s something to always be very attentive to, and people say that the work we do really makes a difference in people’s lives. My great challenge is, like many organizations that have been around for a while, we have silos. We have certain buckets of work that all need to speak to each other with this enormous knowledge that would be equally applicable across, and we need to still break those down. And we are going to be really working much harder on culture going forward because we need to all recognize that organizations can be that much more effective if we really do a better job breaking down these things. Denver: And you bring a lot of multiple perspectives into each one of these challenges, and that’s where breakthroughs occur. Tell us a little bit about the corporate culture at UJA. What about it are you most proud of– which makes it an exceptional place to work– and maybe what would you like to see improved a little? Eric: My sense is that the people who come to UJA, and I am constantly inspired. I come not from the Jewish communal world or even the communal professional world. My staff, the UJA staff, overwhelmingly could have done whatever they wanted to do in life. They are impressive, smart people, and they choose to work at UJA Federation out of a sense of mission and purpose. They do it with sacrifice. Living in New York, the metropolitan area, ain’t cheap. There are lots of more remunerative ways to spend your day. But people do it, and they do it with an enormous sense of pride and happiness. I think that people… our staff is extraordinary. My great challenge is, like many organizations that have been around for a while, we have silos. We have certain buckets of work that all need to speak to each other with this enormous knowledge that would be equally applicable across, and we need to still break those down. And we are going to be really working much harder on culture going forward, because we need to all recognize that organizations can be that much more effective if we really do a better job breaking down these things. 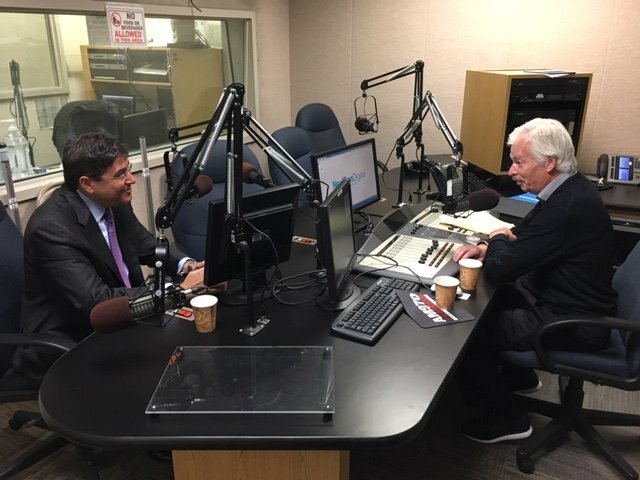 Denver: I think it’s always a challenge for older organizations or legacy organizations as well, because they’ve been sort of set up that way, and trying to break those silos can be a challenge. But it has to be done. I think also the collisions of the way the world happens these days, everything impacts everything else, and it happens so fast that you actually do need to know these other silos of what’s going on there more so than you ever have. Eric: Technology is a piece of this. But frankly, technology alone is not the answer. You need to really change the culture of cooperation and the sense of collaboration across. We’re going to be working hard at that. Denver: Let me close with this, Eric. We’ve talked about this in the broad sense. If you were to narrow it down, what is the greatest challenge of the Jewish community today? And what is UJA Federation doing, as its part, in addressing that challenge? Eric: I think the greatest challenge of the Jewish community is our lack of cohesion. We are a very tiny people – 14 million Jews in the world, roughly. I think that we need to do much better recognizing the importance of, despite difference; recognizing difference, embracing difference but to understand there’s a lot more that connects than separates. I particularly worry about the growing Israel-American divide. Again, it’s not across the board. It’s mostly the non-Orthodox Jewish community with Israel. But it’s significant. And on the domestic side, I worry about the state of our social service not-for-profits. Again, I think the government needs to be much, much more attentive. This is not only a Jewish challenge, but it’s a challenge for our local community. These not-for-profits are the backbone of our community in so many ways, and they are not being adequately funded by government. And we need to be as efficient as we can as a system, but government needs to both be providing much greater funding… indirect rates… they only provide for direct service. Even then, at a deficit, and we must close the gap on delays on getting paid or otherwise, we’re going to see more and more of these incredibly important agencies have significant challenges. Denver: Well said. Eric S. Goldstein, the chief executive officer of UJA Federation of New York, I want to thank you so much for being here this evening. Tell us what we’ll find on your website, and when people go there, what would you like them to do? Eric: Ujafedny.org. Come on. You’ll see volunteer opportunities. You’ll see all the different work we do. We support around 80 agencies across the community, and lots of startups across a broad range of social service need. If you have a passion, go online; find out an organization where you can get involved, and it will be a very rewarding experience. Denver: Thanks, Eric. It was a real pleasure to have you on the show.